Librarians love Twitter not only because it provides an instant and easy window into what is happening in their libraries, but also because it serves as a tremendous professional development resource as well as a tool to globally connect teachers and students. Using Twitter right from your cell phone enables librarians to provide the entire school community with a window into their library. Tracy Karas a Librarian in New York City uses her phone to Tweet updates about new books that have come in, to celebrate student successes, to provide reminders about upcoming events and more. All these Tweets are embedded directly on her library page from the school’s website. Using this tag brings your message to innovative librarians across the globe. Your 30-second investment results in a payoff consisting of plenty of ideas and responses on demand and for free! Another great way to use Twitter is to combine it with Paper.li. Imagine students are doing a research project on dinosaurs. 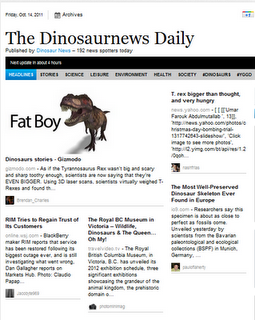 Have them tweet their dinosaur facts along with cool links, pictures and videos. Make sure they use the hashtags you assign and at the end of the lesson, wah-la you have a newspaper with a collection of all their findings! For more on using Paper.li for learning go here. For more ideas about effective ways to use cell phones for learning, including research-based strategies, lessons, and a section dedicated to librarians, order Teaching Generation Text.